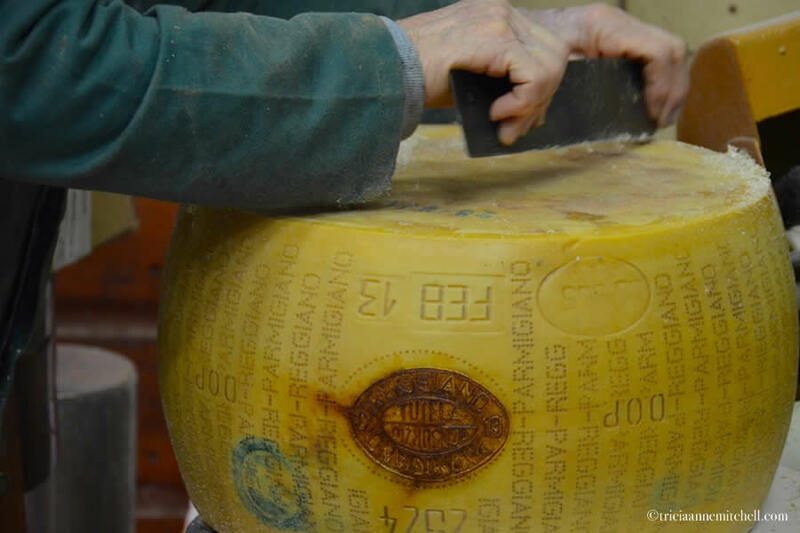 As Carlo inspected and cleaned a wheel of cheese weighing approximately 38 kilograms (or 80+ pounds), he noted that his other culinary weaknesses were spaghetti and bread, but that as he’s gotten older he’s had to cut back from eating as much as 1 kilo (or 2.2 pounds) of bread a day! He then loaded up a dolly with several massive wheels, walking into the nearby storage room to place them on a shelf for aging. Our guide, Elena, chimed in. “After 24 months of aging, the cheese’s flavor is rather mild. Even if it’s aged 40 months, the flavor is not too sharp or overpowering. There’s a belief that the American market wants sharp flavor, but the Italians prefer the flavor not so sharp,” Elena added. Next, we toured the grounds, seeing a sampling of the pampered Fresian cows that produce the milk for the cheese. “Hombre’s cows are well taken care of. 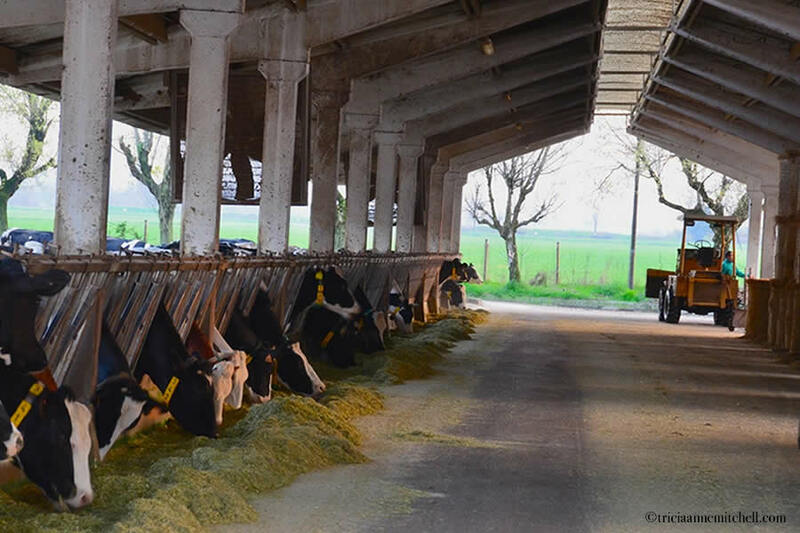 One can’t push production – the cows must be allowed rest time. They listen to classical music in the milking room, and no humans are allowed there to help ensure the cows do not become stressed,” said Elena. 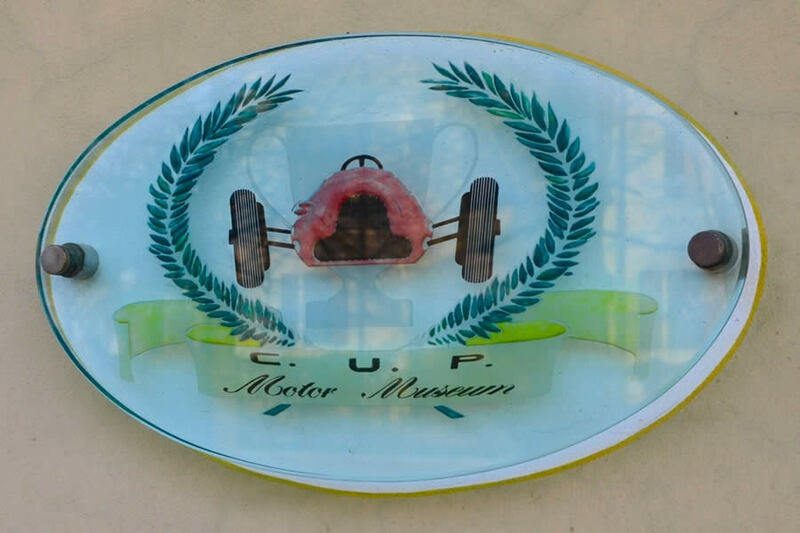 Before proceeding to the farm’s shop for a tasting session, we explored the gallery of classic automobiles collected by the farm’s late owner. 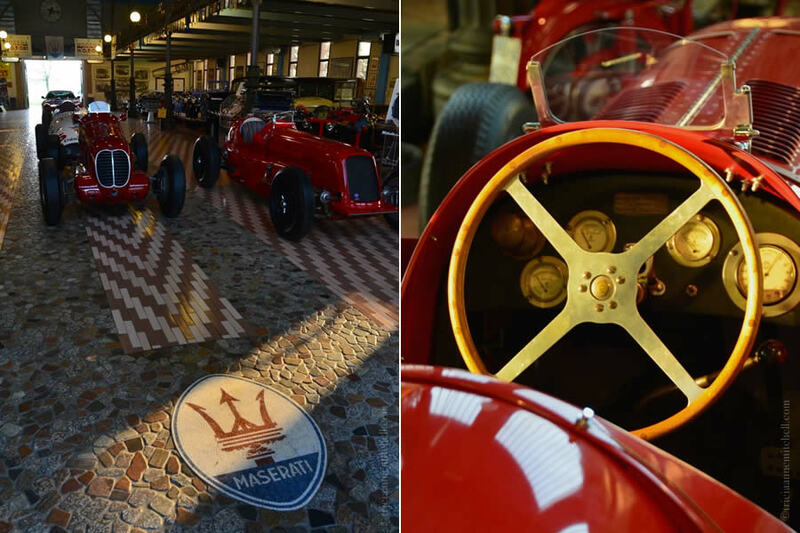 Masseratis, Mercedes, and Cadillacs were on display, shimmering in the late afternoon sunlight of the golden hour. 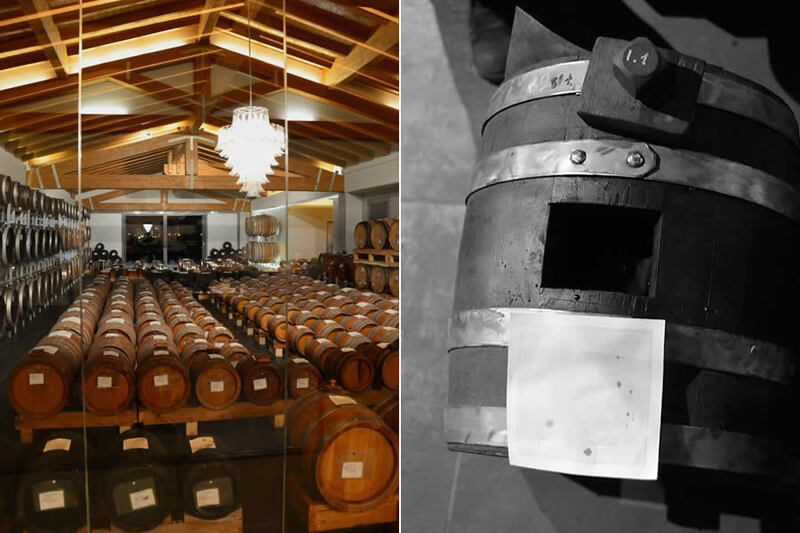 Bidding farewell to the cheese paradise that is Hombre, we were whisked off to the Società Agricola Acetomodena, to meet the traditional balsamic vinegar producer whose family has been making the so-called ‘black gold’ for more than 100 years. 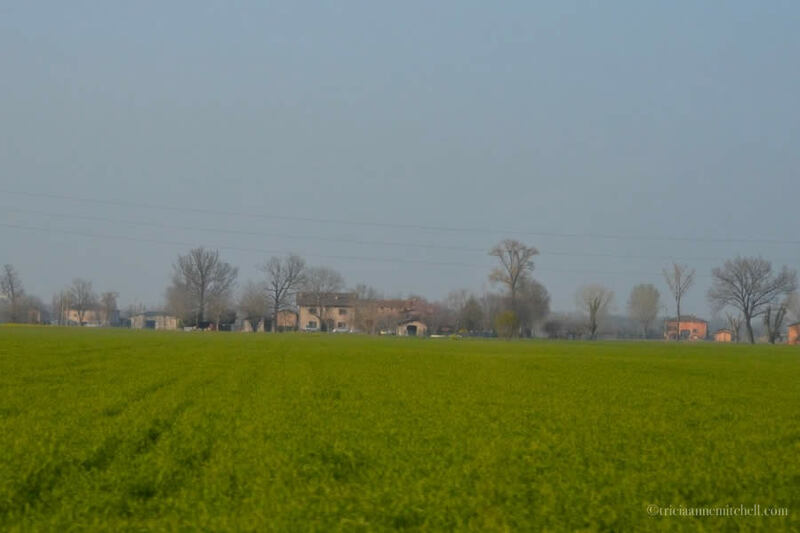 Riding through Emilia-Romagna’s spring-green countryside, Elena shared some tidbits about the culture surrounding the region’s esteemed product. “It’s customary for balsamic vinegar-producing friends to give vinegar to their family members and friends for Christmas. And we put it on frittatas, pumpkin and potato soup, salads, boiled potatoes, risotto, even strawberries or gelato,” she added. 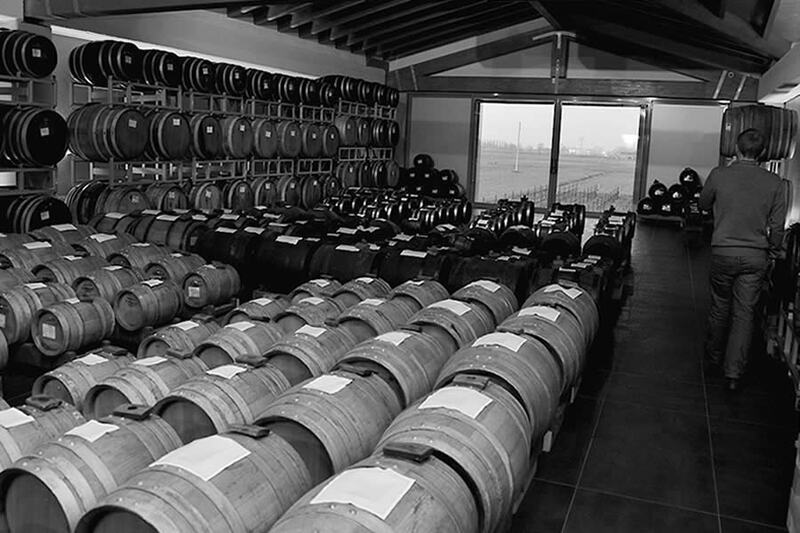 Contrary to our expectations that the producer’s acetaia would be housed in a centuries-old building, the Società Agricola Acetomodena structure was streamlined and modern, with a panoramic tasting room that overlooked the rows of Lambrusco and Trebbiano grapes that are harvested for the vinegar’s production. Bubbly owner, Patrizia Marchi, along with employee, Gary, greeted us and explained the process. Like Matrioshka nesting dolls, the battery consists of barrels that decrease in size, with the must starting out in the largest barrels, and graduating to the smaller ones. Having heard that a battery is started to commemorate the birth of a son, we asked Patty if her family had followed this tradition. With a warm smile, she guided us over to a series of barrels near the sleek glass partition, indicating that they were her son’s. In order to attain DOP certification, the vinegar must age at least 12 years, and to be declared Extravecchio, – literally ‘extra old’ – at least 25 years. During the process it’s regularly tested and must be approved by official tasters. It can only be designated Aceto Balsamico Tradizionale di Modena DOP if it has gone through this rigorous process. It’s then bottled in a uniform bottle called a cruet, which is numbered with a seal. On an antique horse-stall door-turned-tabletop, we sampled from several bottles, ranging from the more humble condiment to the ‘grandfather’ bottle that had been aged for 25 years. It had no bite, and was especially smooth. The next afternoon, we enjoyed a treat of plump strawberries dotted with balsamic vinegar from the Società Agricola Acetomodena. Upon tasting it, we could see why every family is passionate about their balsamic vinegar, for it took the already-divine strawberries to a new level. 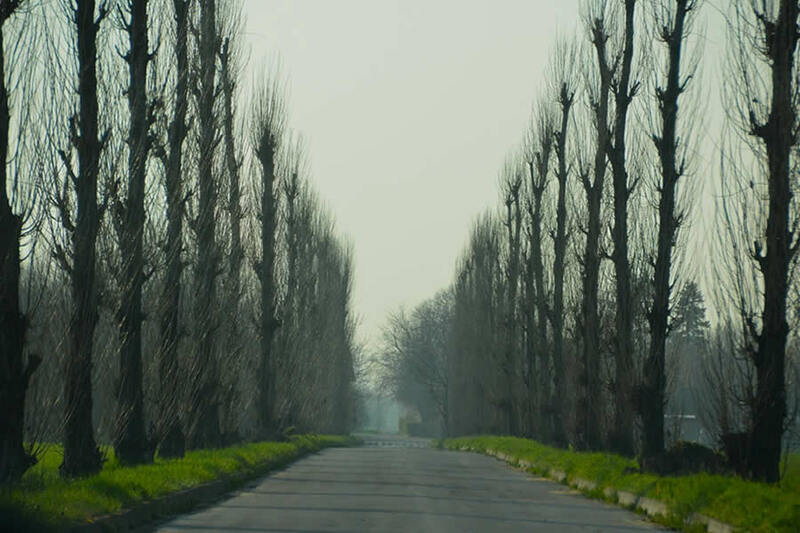 The tree-lined lane leading to the Hombre Organic Cheese Farm where farming practices are 100% organic, meaning no chemicals are used for fertilizing or weeding the crops. Hombre’s founder, Umberto Panini, acquired the nickname Hombre during his years living in Venezuela. Today the Hombre Farm offers an eclectic blend of cheese, classic automobiles, and Italian and South American flair. There are about 500 cows in Hombre’s herd and they’re all all Italian Friesians. 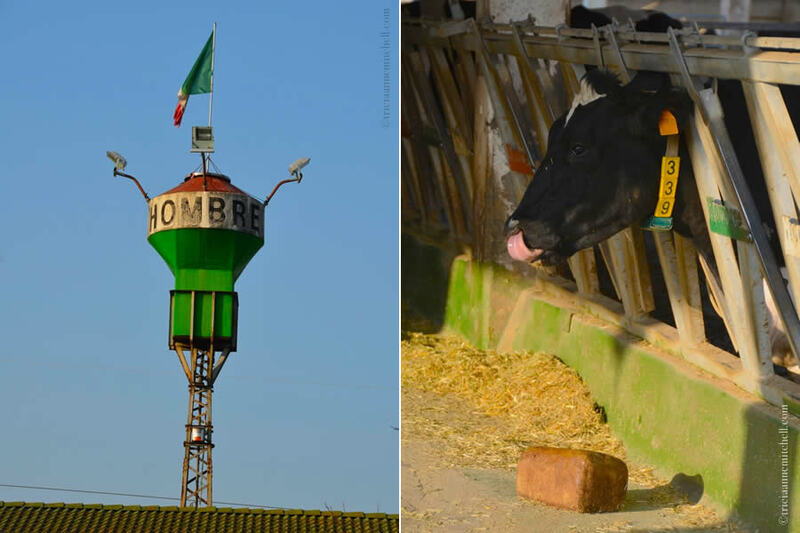 In keeping with Hombre’s quality cheese-making standards, the cows are only treated with homeopathic veterinary products. As a result, they are not given any drugs or antibiotics. “They’re fed an all-you-can-eat blend of hay and cereal,” our guide, Elena, told us. An employee at the Hombre cheese farm transports approximately 230 kilos (500 pounds) of the prized cheese. An organic wheel of this magnificent cheese sells for approximately 700 Euros wholesale ($975 USD), and is typically aged for 24 months. Non-organic cheese, on the other hand, sells for around 500 Euros. Hombre produces about twelve of these wheels a day. The Hombre founder’s love for Maserati motors and Ferrari is apparent given how the logos are worked into this cheese production room’s archway. 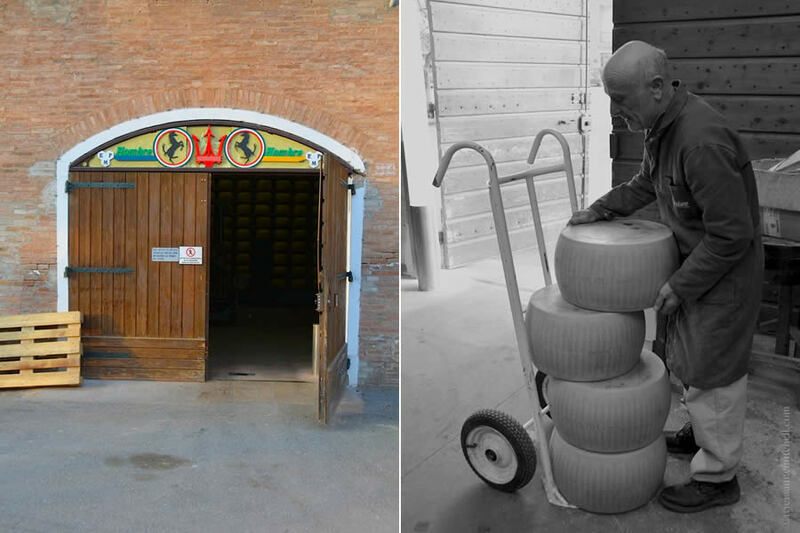 On the right, employee Carlo loads about 190 kg (415 pounds) of cheese onto a dolly. He’s been working at Hombre for 50+ years. 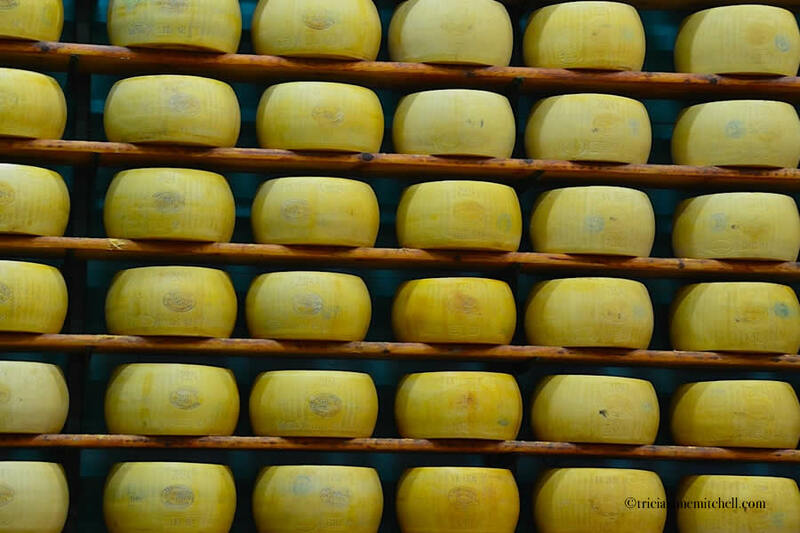 About 500 liters of milk (130+ gallons) is needed to produce one wheel of cheese. 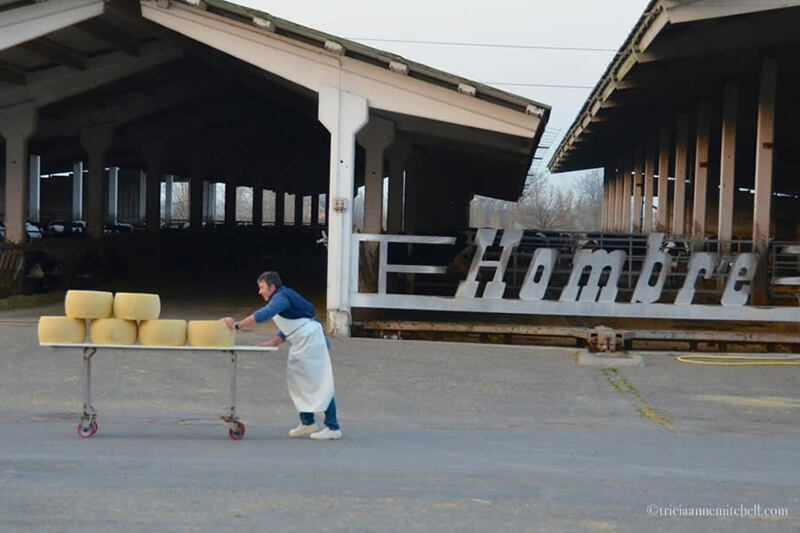 Hombre employee Carlo has been making cheese since 1961. He joked that outside of work he “constantly keeps eating Parmigiano-Reggiano.” Here he puts a wheel of cheese on a shelf for aging. 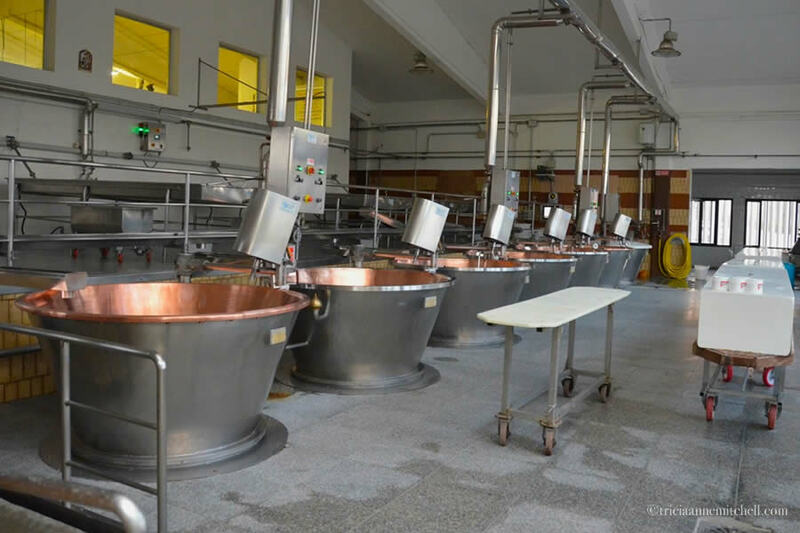 Every two weeks, the wheels of cheese are checked and cleaned to be sure that the cheese is maturing properly. A wheel of cheese can only be fire-branded with quality seals if it passes several rigorous tests during the 24 month+ maturation process. 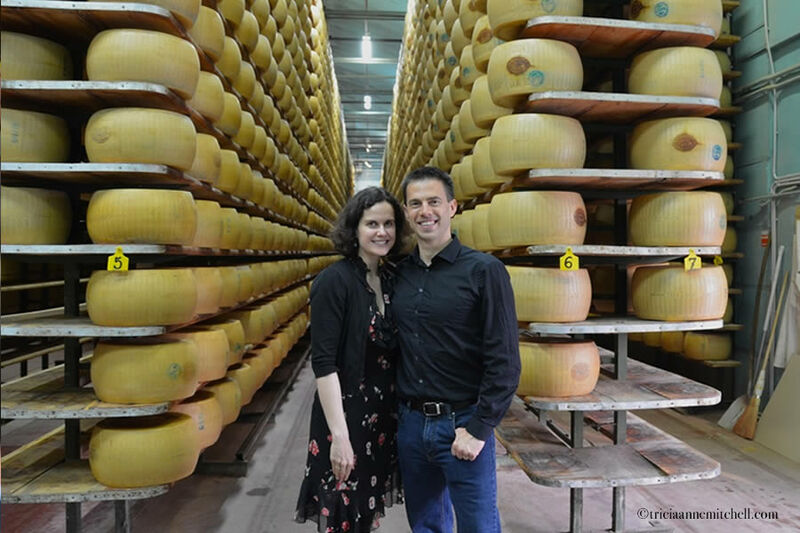 We were yearning to walk through these long aisles of cheese, however, due to sanitation regulations and concerns should there be an earthquake, we had to admire the cheese stash from afar. 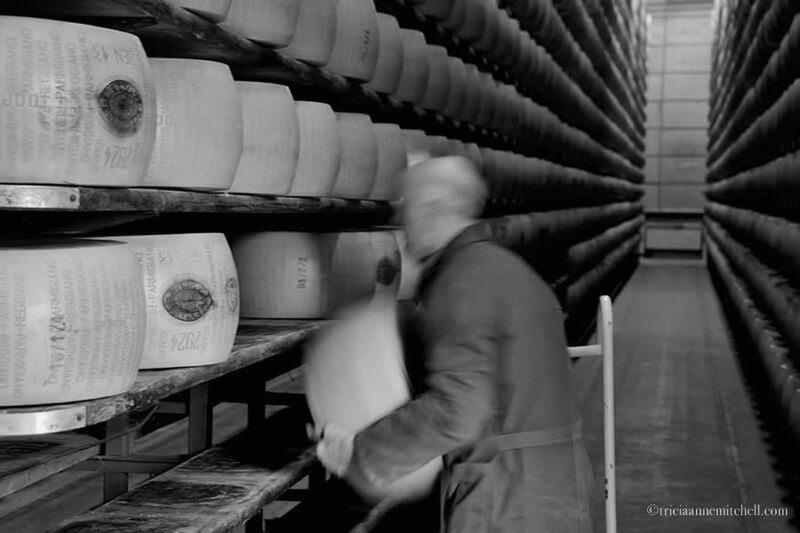 Somehow this glimpse of Carlo pushing the prized cheese through the large store-room reminded us of the closing scene from Indiana Jones & the Raiders of the Lost Ark, when the valuable ark is placed into storage in a vast warehouse. Cows from Hombre’s herd feast. Roughly half of them are designated as milking cows in a given season. The other 250 or so not being used to produce milk are free to graze. A plateful of Parmigiano-Reggiano samples awaits us in the Hombre store. Elena taught us the three steps to tasting cheese: 1. Break. 2. Smell. 3. Taste. Elena also pointed out that the white coloration in the cheese actually indicates that it’s rich in amino acid crystals. 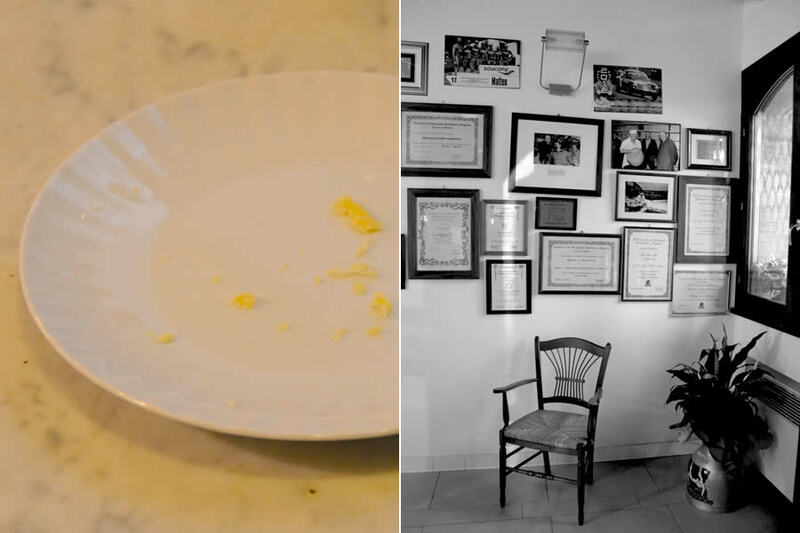 Elena joked that in Italy, the last piece of a food on a dish is known as the ‘vergogna’ or ‘the shame’. Apparently, none of us were feeling bashful about eating the vergogna here for we swiftly devoured these samples. On the right, a sampling of Hombre awards and photographs with dignitaries and Hombre fans, such as the pope and Italian astronauts. 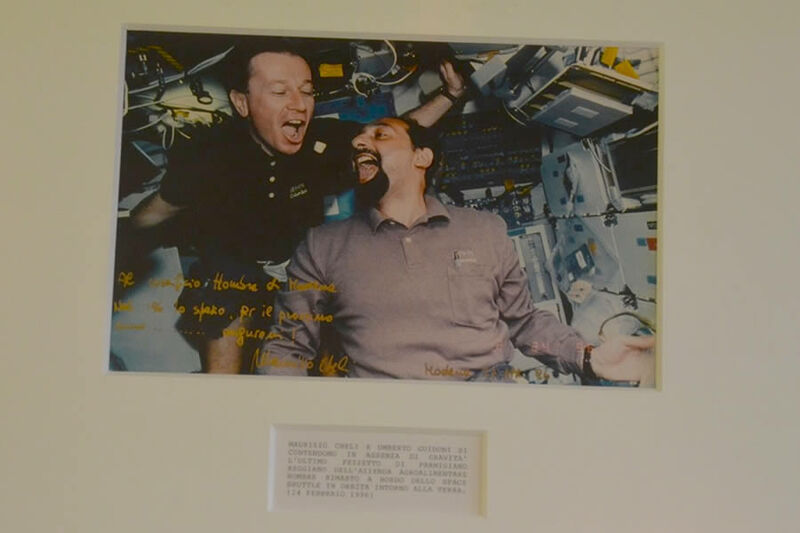 Hombre’s prized Parmigiano-Reggiano cheese even made it to space. Here, two astronauts race to gobble up a single piece of floating cheese. Shawn, guide Elena, and a feline friend check out the delicious cheese offerings under glass. The cheese prices ranged from 14,50 – 21,50 Euros a kilogram (roughly $19.80 – $29.20 USD for just over 2 pounds). 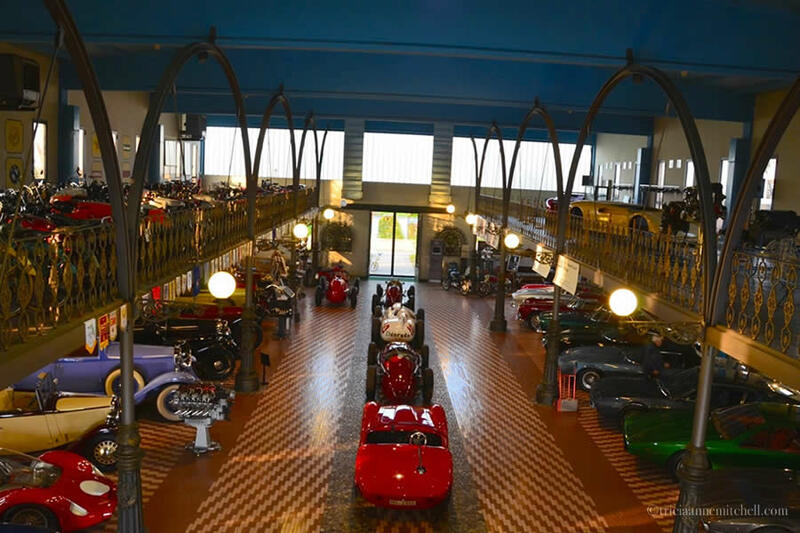 Hombre’s founder was an avid car collector, and besides the cheese production rooms, you can also visit Hombre’s car museum where Lamborghini tractors, motorbikes, Masserati, Mercedes and Cadillac automobiles are on display. Umberto Panini managed to salvage ironwork from an old railroad and today it embellishes his car museum. Classic automobiles catch the sun’s golden-hour rays. Leaving the Hombre Organic Farm, we voyaged through Emilia-Romagna’s lush countryside to the Società Agricola Acetomodena, to continue our gastronomic journey and learn about traditional balsamic vinegar production. At the Società Agricola Acetomodena, modern architecture meets traditional production techniques. On the right, a hygienic white cloth is pulled back from an opening at the top of the barrel so that we can smell the vinegar undergoing various stages of aging. Like a set of Matrioshka nesting dolls, a battery consists of barrels that decrease in size. The grape must (freshly pressed grape juice) starts out in the largest barrels, and graduates to the smaller ones. Here, the company’s friendly owner, Patti, explains the process. Her family’s been producing traditional balsamic vinegar since at least the late 1800s. Rows of the company’s Trebbiano and Lambrusco grapes are visible just outside the window from the vinegar production room. A sampling of the Società Agricola Acetomodena’s products on display atop an antique horse-stall-door-turned-tabletop. 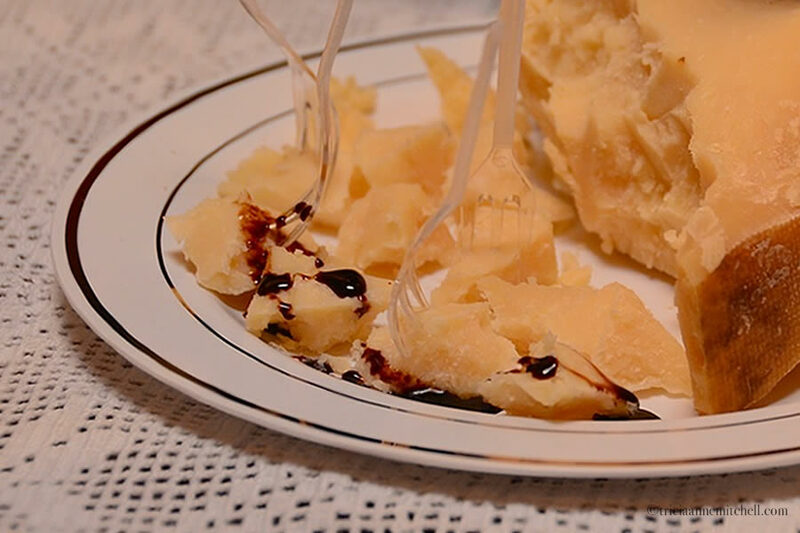 Morsels of Parmigiano-Reggiano cheese glisten with droplets of balsamic vinegar. 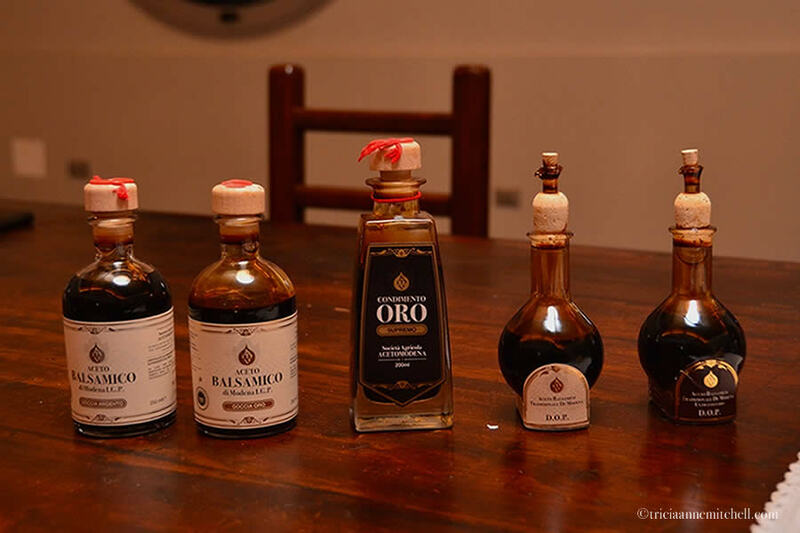 From the entry-level condiment, to the prized traditional balsamic vinegar extravecchio, which has been aged for 25 years, we we were lucky to sample and savor the varied flavors during our taste test. 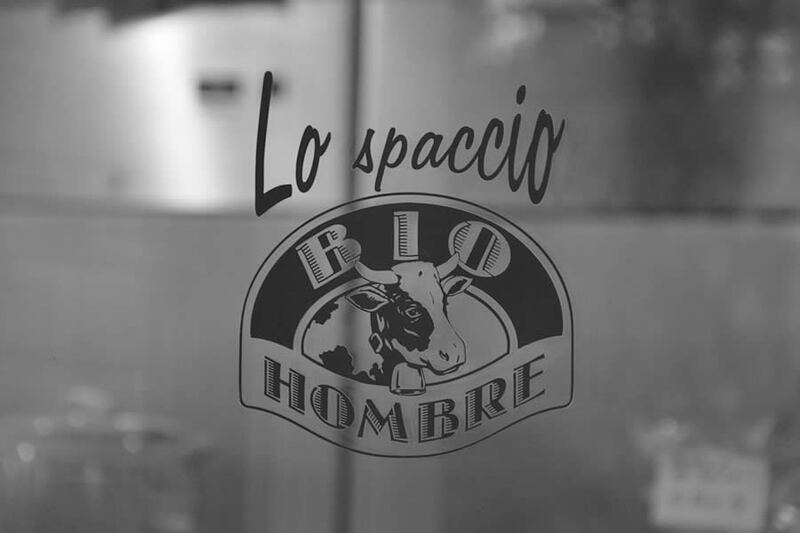 The Hombre Organic Cheese Farm is located at Via Corletto sud, 320, 41100 Modena, Italy. The Società Agricola Acetomodena‘s address is Stabilimento in Strada Borelle 120, 41126, Modena, Italy. While in Modena, we spent 3 nights at the elegant, historic, and centrally-located Hotel Canalgrande (affiliate link). One of our favorite memories from Modena, in fact, was sitting out on our hotel room balcony just before sunset, looking out over Modena’s rooftops, while enjoying goodies that we’d procured at the Albinelli Market earlier in the day. 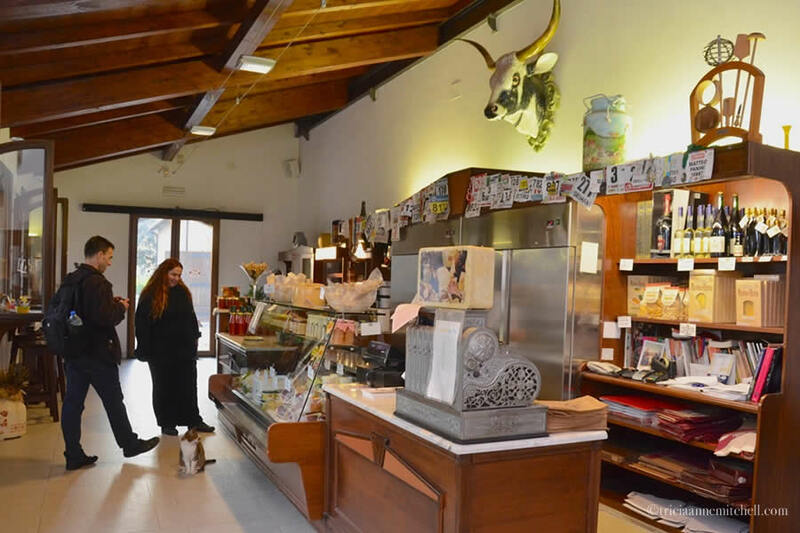 Peruse the Emilia-Romagna Tourist Board website for more details about this region’s rich offerings. Also, they’ve just recently released a free e-book that chronicles Emilia-Romagna’s Art Cities. I wish it’d been published when we were in the region, yet it’s since presented even more excuses to return to this stunning part of Italy. An extra special thank you to Nick and Francesca for coordinating all the details and making us feel so welcome in Emilia-Romagna. For these excursions, we also wish to say Grazie mille to our guide, Elena, for giving us much insight into local culture. Did you detect notes of classical music in the taste of the delicious wheels of Hombre cheese? Loved how the cows are treated. They even have their peaceful, meditation time! Be still my heart! 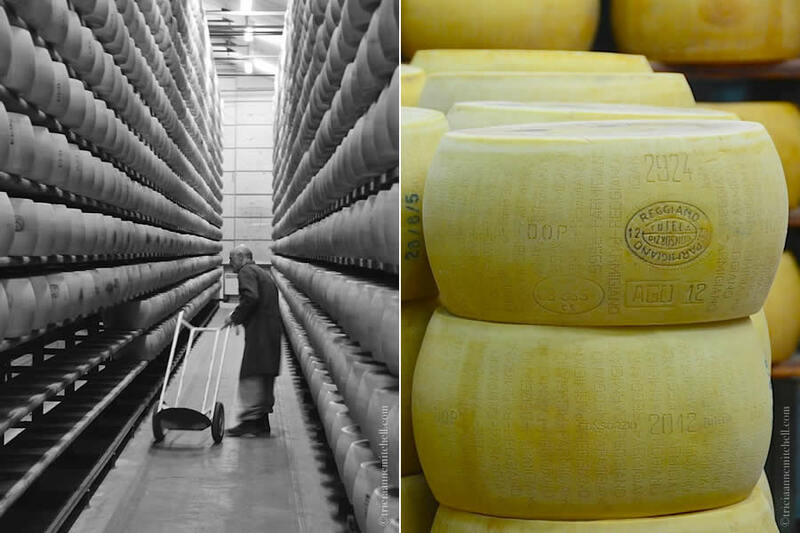 Entire wheels of parmigiano reggiano make our hearts beat faster. When entire wheels of that cheese were delivered to our pizzeria our guys would practically genuflect to it. To us it was like fine wine and treated with much respect. Virginia, now knowing how much work goes into making a wheel, it’s lovely to hear how much your cooks appreciated it! Do you remember how many wheels your pizzeria would go through in a month? I can’t remember, but we were not that big of an operation. Simply a sweet little place called PASSIONATE PIZZA, with deep pink walls and green and white checked tablecloths for 8 tables. We loved our customers and our son who operated the business said he ate pizza every night for seven years. He NEVER got tired of it. It was the first artisan pizza in Vancouver. My mouth is watering. My nose and mouth are craving for some cheese. Now I have to go and satisfy my craving. I’ve never tasted cheese with vinegar. It must be good with a high quality vinegar. Indeed, the grass is always greener and both types of cheese please the turophile in us. The traditional balsamic vinegar is versatile – for everything from cheese, to strawberries. It has a deeper flavor than younger, less-concentrated balsamic vinegar, and understandably, a higher price-tag. Some bottles go for about $100 USD. Hi Peri, having a peek at the process certainly gives one a greater appreciation for the cheese’s quality doesn’t it? During our visit, I asked about the difference between Parmigiano-Reggiano cheese and Grana Padano, which to me, taste somewhat similar. Our host says that the cows are fed differently, and that GP tends to have bigger producers. And, thank you for your kind words about the article! I’ll pass along your video comment to my husband Shawn since those are his creations. Great post Tricia, it just got better and better, cheese, balsamic vinegar and cars, and I’m sure I wouldn’t have to look far for some red wine. Indeed, you’re correct Mark! We enjoyed some red wine after these tastings, making for a fun day of progressive nibbling. The crown jewels of Italy. Wonderful photos throughout. What is your favorite lens you shoot with? I must confess to taking a rather simple approach with lenses, mostly because of convenience while on the road, and also because I have much to learn. I mostly use an 18-200 mm. lens because of its versatility, knowing that I lose some image quality. I also have a prime lens (35 mm.) that I use when photographing food. Food is so tricky to capture! Sofia, as a self-described turophile, it was a dream. Since you’re in Barcelona (and keen on posting foodie articles) you might be interested in participating in the BlogVille program in Italy sometime: http://www.blog-ville.com/ This cheese-making excursion was just part of our visit with the campaign, which promotes the Emilia-Romagna, and now Lombardy, Italy. As a cheese blogger with an automotive journalist Hubby, I absolutely loved this post and will be sure to let others know to read it. I want to jump on a plane and visit here right now (if I had the dollars to do so, I would) and never come home. Your photography is spectacular! So happy I found your site. I’ll be following you from now in. Stay Cheesy! I’m glad you enjoyed this glimpse into Modena’s cheesy side. 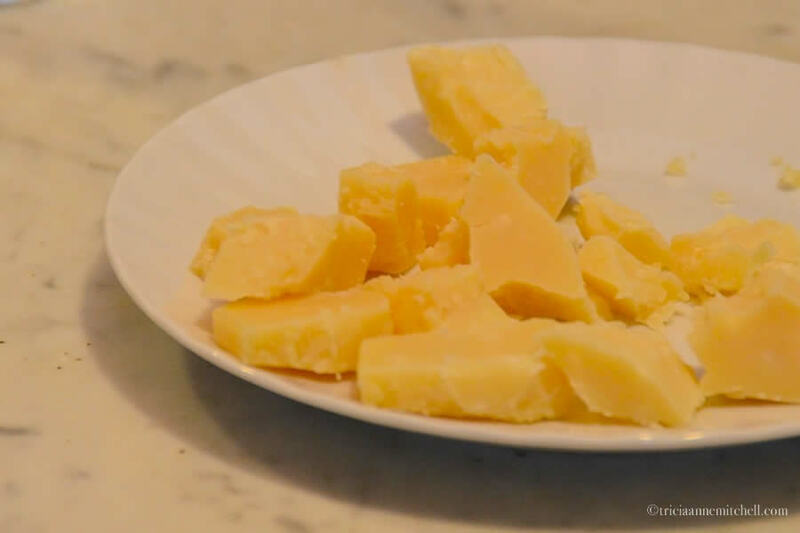 What’s wonderful, of course, is that as far as we all might be from Modena, an authentic block of Parmigiano-Reggiano cheese is probably not that far away.